If there was a heyday for the Great Western then it was surely between the Wars, when its Castles and Kings were providing a stirring sight and the romance of the railways was at its highest. The man in charge at Swindon, the company's main engineering works, was Charles Collett. It would be wrong to attribute the GWR's status at this time solely to Collett since he inherited a strong legacy from his predecessor, George Jackson Churchward. It was Churchward who had revolutionised thinking in locomotive design and production, though in Collett he found an able and determined successor. Collett's early background was in marine engineering, but a post in the drawing office at Swindon, which he took up in 1893, set him on course for an acclaimed career in railway engineering. By 1912 he was manager of the works, becoming deputy to Churchward, the chief mechanical engineer, in 1919. Two years' more grooming and he was ready to step into the shoes of the 'Old Man'. Like Churchward, Collett was a firm believer in standardisation wherever possible, but this proved a disadvantage when a large number of small railway companies - most of them Welsh - were absorbed into the GWR in 1922/23. Nearly 1,000 'foreign' (ie non-GWR) engines found themselves in Swindon Works for repair and refitting and it called for a great deal of ingenuity on all sides to bring these engines up to acceptable Swindon standards. Despite this difficult complication, Collett still managed to see through the introduction of two major classes of locomotives, the first Castle class engine, called Caerphilly Castle, arriving at Paddington in August 1923. A month earlier had seen the introduction of a new express, the Cheltenham Flyer, heralded as 'the world's fastest train'. Originally hauled by the powerful Star class engines, the Cheltenham Flyer was now pulled by Castles, which provided 26 per cent more power than the Stars. Swindon even received its first ever Royal visit at this time. King George V and Queen Mary touring the Works before the King himself drove the appropriately named Windsor Castle to the station. The golden age had arrived, but the question was how long it would last. The General Strike of 1926 and a protracted dispute in the Welsh coalfields crippled the GWR which relied on coal traffic for a large slice of its income. The more brief railway strike, meanwhile, demonstrated that the country was not entirely dependent on rail when roads proved an adequate replacement. Reductions in staff at Swindon were inevitable and the GWR as a whole never recovered, but there was no halting the continuing rise of Swindon Works under Collett. Along with his gifted engineers he was working on an even more impressive class than the Castles, particularly when fears that bridges would be unable to accomodate a heavier breed of engine were allayed. The fact that they were working to a deadline seems to have spurred on everybody at Swindon Works. The new class had to be complete in time for the Baltimore and Ohio Centenary Exhibition as it was a matter of great prestige to the GWR that one of their engines should be Britain's standard-bearer. The result was the famous King class of locomotive of which the first was to be No. 6000, King George V, and the rest would be named after previous kings in backward chronological order. The tight schedule made it essential that everything went right first time and the King George V duly had its maiden trip on the Cornish Riviera Express in July 1927 before it was loaded at Cardiff Docks on a ship bound for America. Public interest both inside and outside Swindon was high and the new locomotive proved such a hit on the other side of the Atlantic that it returned with a specially-struck commemorative bell. Churchward had based much of his design theories on American practices, but the Americans - and everybody else - had been suitably impressed by Collett's extension of Churchward's theories. Swindon's reputation was now truly international. Socially, Collett took a far from active role in the town's affairs, being happy to delegate duties to William Stanier (later Sir William), his assistant since 1924. This was in marked contrast to his predecessors, particularly Joseph Armstrong, who saw their duties towards the welfare of both the Swindon workforce and the population of the town at large as an integral part of the job. Stanier proved a more than capable substitute and left a huge void when he was headhunted by the LMS in 1931 and left to become their chief mechanical engineer. Collett's managerial style was also in complete contrast with Churchward's. While Churchward was an almost daily visitor to the drawing office, it is believed that Collett never once visited there and remained detached from the vast majority of the workforce. But it has been noted that his manner was "quiet and helpful" was a great asset in his dealings with people. Despite the success of the Castles and Kings, it was easy to imagine, in 1933, that it was the beginning of the end for the golden era of Great Western steam. Depression caused a three-day week in Swindon and there was a foretaste of things to come as the first Swindon-built diesel railcar went into service. Days later the tragic death of Churchward seemed to hasten in the gathering clouds. In fact, Swindon, nor Collett, had yet reached a peak. Whereas 103 locomotives had been built in 1933, the output peaked at a colossal 150 in 1937. But that is only part of the picture because the same four years had seen output of carriage stock nearly triple to 478 while 5,340 wagons were made in 1937 compared with 1,392 four years earlier. The only thing that could bring down the curtain on Swindon's finest decade of railway industry was another World War, which also spelled the end for Collett. By 1941, with 20 years' service as chief mechanical engineer behind him, Collett finally retired at the age of 70. Not for the first time had Swindon Works produced an engineer of exceptional ability. His greatest achievements in terms of locomotive design were certainly the Castles and Kings, but his Manor, Hall and Grange classes are also fondly remembered and lovingly preserved by enthusiasts to this day. • Collett did not live at Newburn House during his time as chief mechanical engineer. The house had been used by some of his predecessors but Churchward was allowed to remain there when he retired. Instead, Collett lived at the western end of Bristol Street, in the shadow of the Works' water tower, the house facing Church Place. • Collett, a Londoner and the son of journalist, lived near Paddington Station as a boy, so Swindon-built locomotives would have been a familiar sight in his schooldays. • After his retirement from the GWR, Collett moved to Wimbledon where he died, 11 years later, in 1952. His small funeral was attended by his successor, Hawksworth, and Stanier, his former assistant. • Swindon Borough Council took the unusual step of naming a street after Collett while he was still in office. Collett Avenue, built in 1938, is in Rodbourne Cheney and runs parallel with Churchward Avenue. • Collett is renowned as a quiet, aloof man (and is described in at least one book as a recluse) but he certainly had a sense of humour. When he became annoyed that certain directors of the GWR were pompous enough to demand that engines were named after them, Collett gave their names to new but old fashioned looking engines that ran on the Cambrian coast. Sadly, the same names were later transferred to Castle class locomotives, but Collett had made his point. • In an echo of The Lord of the Isles, Gooch's engine which took part in the Great Exhibition of 1851, Collett's Caerphilly Castle also achieved great fame when it appeared at the British Empire Exhibition at Wembley in 1924. Also appearing was the LNER's larger engine, Flying Scotsman. The GWR claimed that their engine was the more powerful of the two and legend has it that this led to the 1925 trials, which appeared to bear out the GWR's claim. 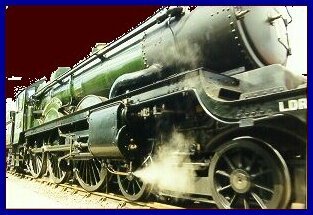 • Collett's most famous locomotive, King George V, is now preserved in Swindon Railway Museum. Other Castles and Kings, along with many other GWR engines can be seen at the Great Western Railway Centre at Didcot, where they are often in steam. The photograph (left) is of King Edward I, pictured at Didcot. • In the Thirties, with Collett at the height of his career, there seemed to be little doubt that Swindon was at the forefront of locomotive design. 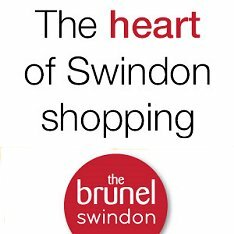 Writer JB Priestley, who visited the town in 1933, wrote: "I had never been to Swindon before and all I knew about it was that the Great Western Railway had its chief works there and that it made the best railway engines in the world."